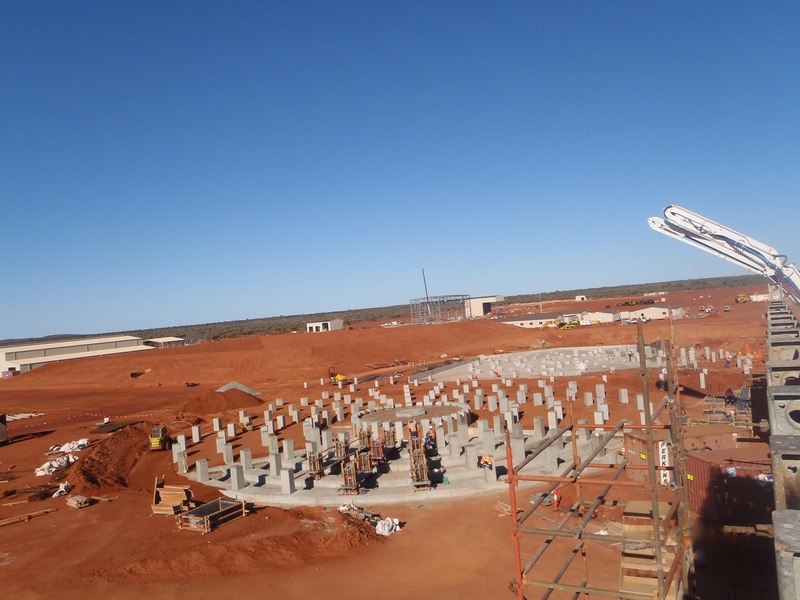 The Scope of Work within the Treatment Plant Site includes construction of earthwork building pads, detailed earthworks and concrete installation of the Ball Mill Foundation & Pedestal and the Flotation Cell Foundations & Ring Beams within the Treatment Plant Site Area. Primary Crusher – construction all structural steel cast-ins. Reclaim Tunnel – construction and all structural steel cast-ins. Secondary Crusher/Screening – construction of both Secondary Crusher Foundation and Screening Area substructure. Foundation and Fines Screening substructure. 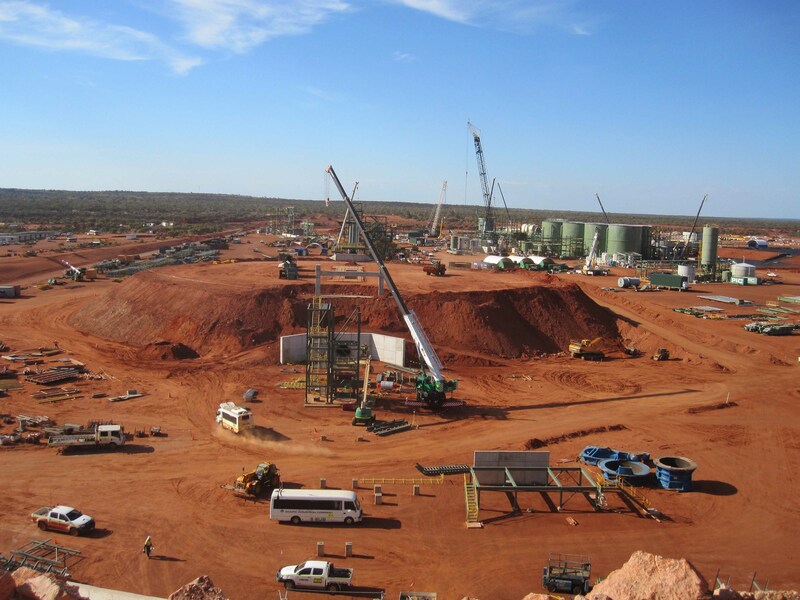 Construction of all associated conveyor footings. Ball Mill – Construction of Ball Mill foundation. CIL Area – construction of ring beams, installation of HDPE lining and construction of associated slabs and bund walls. 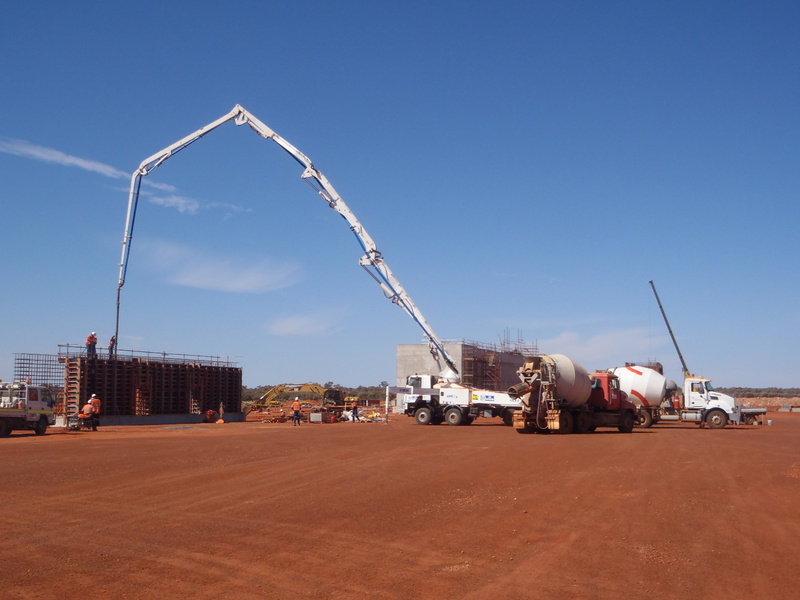 Thickener area – construction of footings and pedestals, together with associated slabs and bund walls. 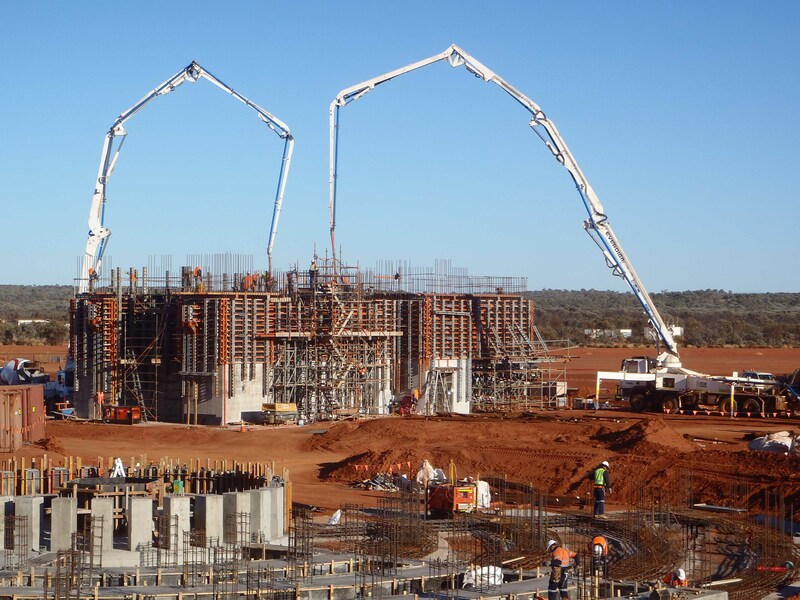 Reagents/Desorption/Refining – construction of a series of ring beams and associated slabs/bund walls. Construction of various slabs, structures including drainage & culverts for the Warehouse, Workshop, Bulk Storage, Core Shed Laboratory, Plant Sub Station, HV Switchyard/Sub Station, Fuel Farm, Water Services and Process Water Pond. 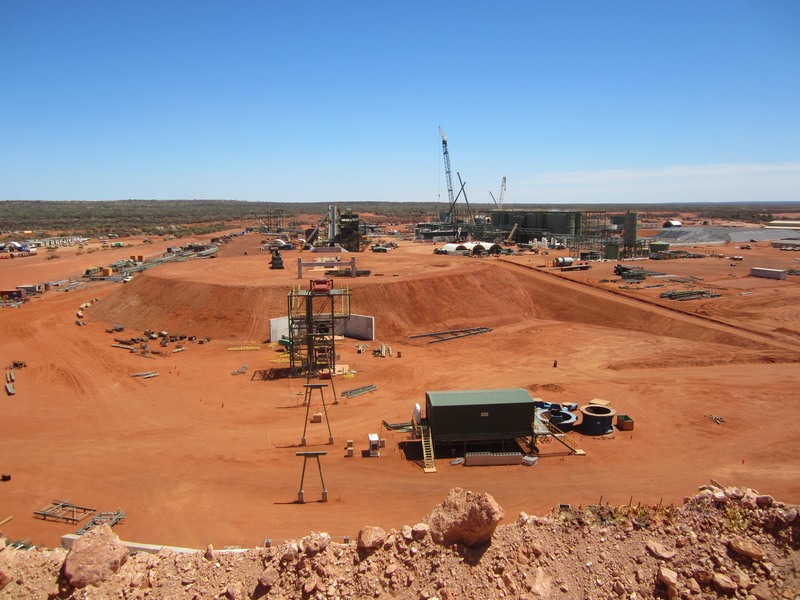 Construction of building earth pads, inclusive of winning suitable material from designated borrow areas, loading, hauling within a 1km radius, placing, spreading, levelling and compaction. Detailed excavation to reduced levels, lines and grades and compaction as necessary for the construction of reinforced concrete footings, foundations, slabs and other concrete structures. Backfilling with suitable material and compaction around completed Works, grading to lines and levels and removal and disposal of excess soil and waste material to a location 5km from the Treatment Plant Site. 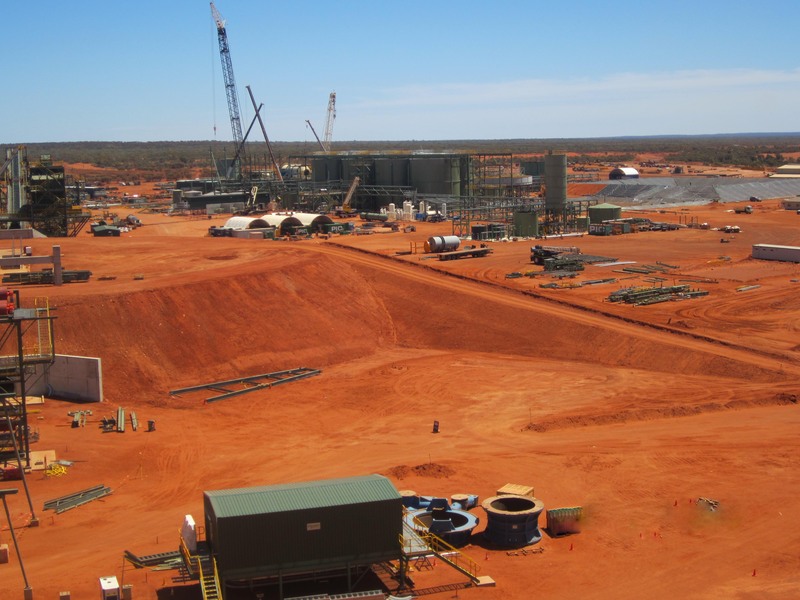 Structural backfill to Primary Crusher Rom Pad (47,000m3) Structural backfill to primary Stockpile & Reclaim (95,000m3) Supply and installation of plastic liners and waterproof membranes. The plastic liners are to be protected during placement of steel reinforcing, conduits, block outs, cast in items and concrete.